I find birthdays so emotional. Every year I can hardly believe that my little ones are the age they are. Dylan has just turned nine. Nine! That's one year from ten. Double figures. I can't cope. Needless to say, the days of hiring a local hall and bringing in a puppet show are well and truly over for Dylan. This year he wanted a sleepover. Sigh. Despite myself, I went ahead and arranged said sleepover. It all went surprisingly well. There were no arguments, everyone had a great time and nothing was broken. Except my sleep. 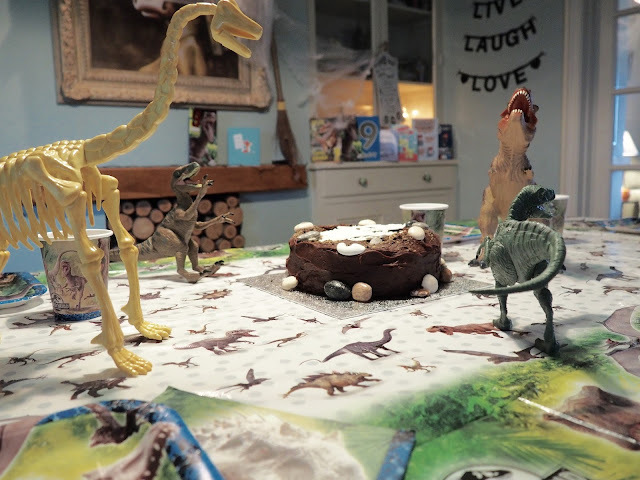 Dylan is just a little enamoured with Jurassic World, so we had a dino-themed tea party for the birthday boy, before settling down to a movie (which they hardly watched anything of, preferring to chase each other around the house pretending to be Indominus Rex). The kids all loved the dinosaur theme, accessorised by some of Dylan's birthday gifts and a homemade dinosaur fossil cake. The dinosaur party pack was a godsend. As well as looking great, it meant I didn't have to wash any plates and cups. There was definitely enough going on without washing up after six kids too! 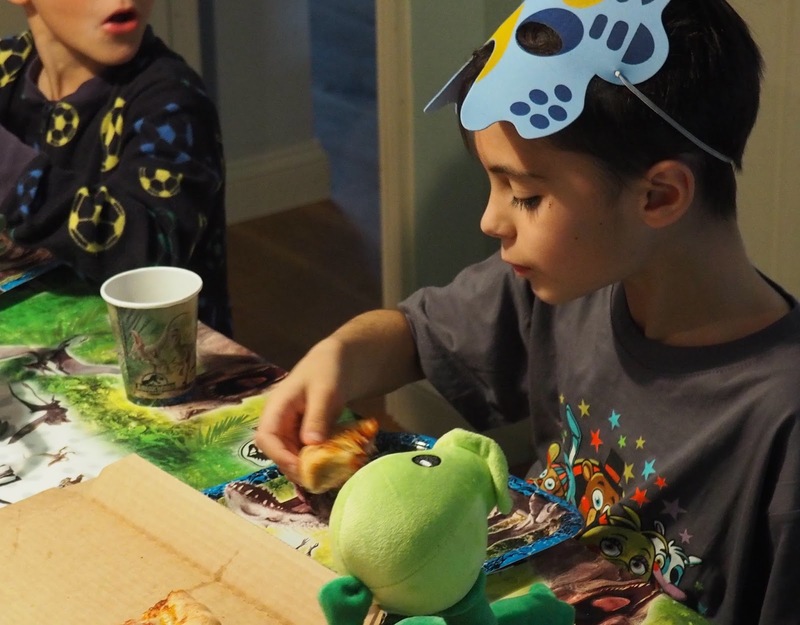 Once the dust had settled on the sleepover, Dylan and I sat down for a birthday interview. Each year I ask each of my children the same set of questions - I like the idea of looking back on their answers in years to come to see how they've changed. How old are you? I'm nine. Hooray! What is your favourite book? All the Tom Gates books. What is your favourite TV show? Planet Dinosaur. What is your favourite movie? Jurassic World. What is your favourite song? the Five Nights at Freddy's theme tune. What is your favourite drink? Coca Cola. What is your favourite breakfast food? Nesquik cereal. What is your favourite snack? Cookies and milkshake. What is your favourite outfit? My new Five Nights at Freddy's t-shirt. What is your favourite game? Plants vs Zombies Garden Warfare. What is your favourite toy? Peashooter plush. Who is your best friend? Jonah and Olivia. What is your favourite thing to do? Draw, play video games and play with my toys. What was your favourite holiday? Disneyland Paris. What do you take to bed with you at night? Peashooter. What is your favourite restaurant? Bill's, for ribs. What makes you happy? Being with my friends and family. What makes you sad? Being left out of games. What do you want to be when you grow up? A palaeontologist. What did you do on your birthday? I had a sleepover party with all my best friends. We watched a movie, ate pizza and sweets and played. Then we went to the cinema to see Hotel Transylvania 2. Best birthday ever! 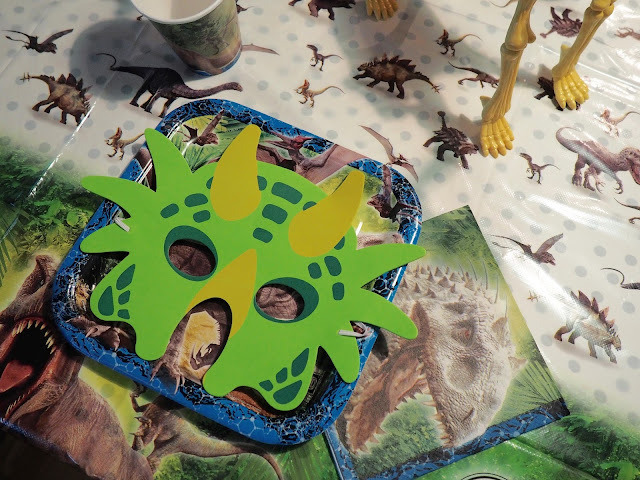 *We were kindly sent the Jurassic World party kit from Party Bags and Supplies to review. What a fab birthday theme I love the look of the cake. The sleepover sounds fab and I hope he had lots of fun. I wonder what he will want to be in a years time. I enjoyed the pictures and the questions. Thanks for sharing! Happy birthday, Love the cake it's fabulous. Well done on throwing such a great party. Totally jealous of the cake. Would love some now. Wow, I hope he had an amazing day. It looks like he did. 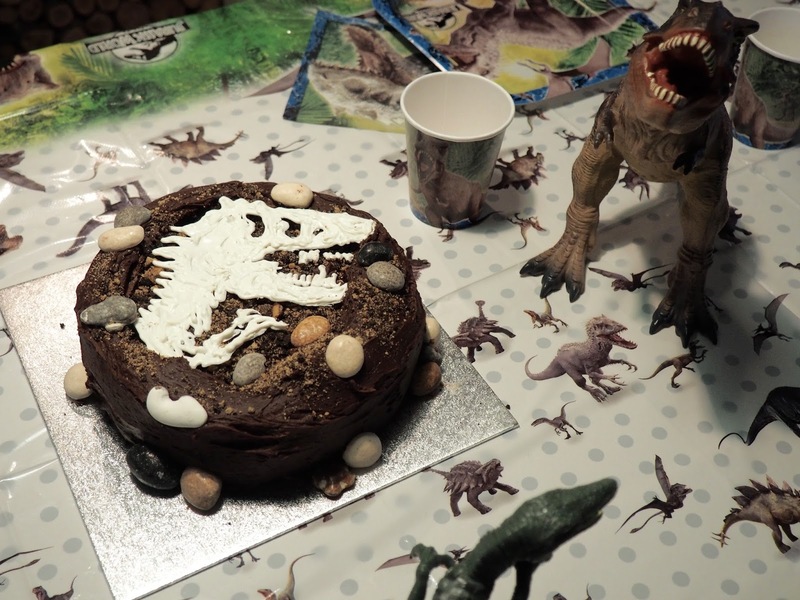 I love the cake, well done! I still haven't managed baking a cake for my kids and one is going to be 18 in a few weeks!